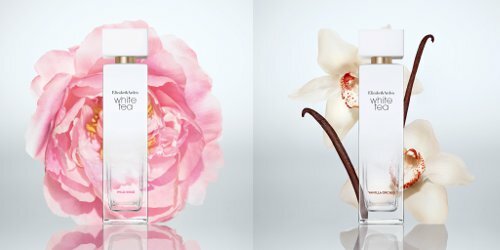 Elizabeth Arden has launched White Tea Wild Rose and White Tea Vanilla Orchid, new flankers to 2017's White Tea. White Tea Wild Rose ~ developed by perfumers Rodrigo Flores-Roux and Guillaume Flavigny. "White Tea Wild Rose captures the soft surprise of wild rose at the edge of the ocean. A rising sweetness layered on a fresh breeze. Sensual rose bouquet crowned with fresh pear blossom. Enveloping warmth and promise." White Tea Vanilla Orchid ~ developed by perfumer Gil Clavien. "White Tea Vanilla Orchid evokes the richness of a cool evening. Candlelight casts a warm invitation as shadows grow long outdoors. Vanilla infused with bright hints of lemon and quince. An invitation to warmth and comfort." Elizabeth Arden White Tea Wild Rose and White Tea Vanilla Orchid are available in 30, 50 or 100 ml Eau de Toilette. I really enjoy the simple and comforting fragrance ofElizabeth Arden Green Tea and it’s flankers. I never knew Elizabeth Arden had a White Tea range now too!! Have to check it out if the white teais asnice and true to a tea scent as the EA green tea is.